Given my ultimate goal of trying to do as much as possible without installing heavy-weight plugins, today we’ll take a look at how to move fields around inside the billing & shipping sections. WooCommerce 3.0 has added a “priority” field to each billing and shipping field. Now moving fields @ checkout is much easier! I just updated my WooCommerce from 3.3.5 to 3.5.3. In the previous version I used your code snippet (thanks btw!) to order my Shipping fields in Checkout, but this latest WC update has messed it all up. They don’t even appear to use the default priorities you list. You mentioned that you had put a ticket in to WC, did they ever issue a fix/patch for this issue? Will our old code still work or are there modifications to be made? Not sure what I’m doing wrong but the field override only happens when the country is changed in checkout. 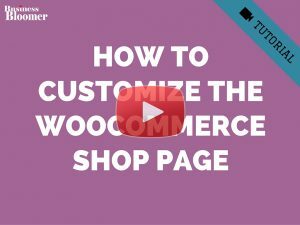 Hi there, just wanted to let you know that this code has stopped working since the recent version of Woocommerce. Thank you for the code btw – it’s helped me out a lot! I’m still trying figure out how to add the account sections to the top, i.e username and password. Can you use the same layout for the account section as shown above? I have reordered und changed/unset a few of my billing and shipping fields on the checkout page. Thank you for your snippet! However, on the “My Account” page that every registered or just signed up user has(to add or edit his addresses), you can still the shipping and billing fields unchanged. Is there a way to also change these? Hi Rudolfo. Just used the top code to put the country field at the top of the form. 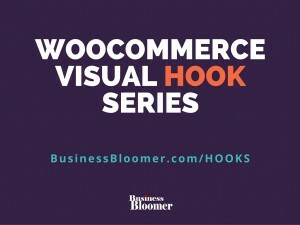 Woocommerce and wordpress 4.9. worked perfectly. Is there a way to move the Order Comments (order_comments) field on the Checkout page to the Cart page? I used this code that you mentioned above but unfortunately, Address_1 always locate above city meanwhile I set priority 42 for city. Can you help me about that? Hello! 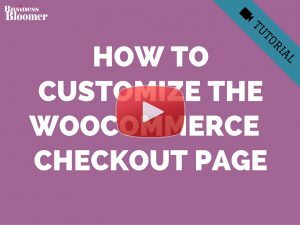 Is it possible in woocommerce to display Shipping methods first on the checkout page? This works only for default flieds. 1. add a custom field to billing. I think i figured out. Thanks for your valuable feedback Stefan! Is there an easy way to display the billiing address fields in Shipping session? I’m using a multistep plugin, and I wanted my customer to fill address info in second step, which will be the “shipping” session. I don’t really ship stuff, as I only sell virtual products. I have the Extra Checkout Fields plugin, if I just Disable the fields in Billing and recreate them in Shipping, with same name and all, will it behave properly? Hi there. That’s a really straightforward function. It helped me a lot! Thanks. I’d really I’m not sure how to solve this issue. I’d really appreciate any inputs regarding an alternative method in order to achieve that. 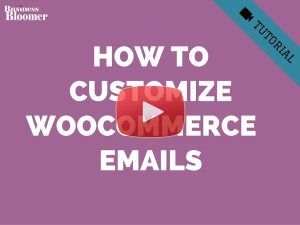 This might be a dumb question from a novice (me), but why in the Woocommerce 3.0.4 snippet at the top is there no ’email’ or ‘phone’ fields? Did I miss it mentioned somewhere else? I would like to move my email and phone fields as they are appearing last in the field order. I tried the 3.0.4 snippet with the field names ’email’ and ‘phone’ and set their respective priorities and they didn’t move. The other fields listed in the snippet however moved ok. Thanks for the snippets, they helps me very well! Thank you so much Maxim! Will this make Email and Phone number on top ? I am simply wanting to add email address field in billing to go to the very top of the form fields. I don’t see email as a customisable option in your code above for 3.0? Do I just add the field in there like the others and assign 8 (anything lower than 10)? Very new to this. I do have a child theme and have the functions php window open… I also want to know how to make phone field an optional field, not a required field? 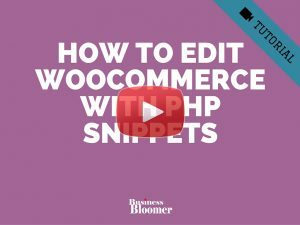 unfortunately the snippet is not working anymore after the newest update of Woocommerce. Do you know what needs to be changed? Hey Patrick, well spotted! I did some research and in fact I found this in the forums: https://wordpress.org/support/topic/reordering-checkout-fields-doesnt-work-anymore-on-3-0-4/. thanks, but if I compare the two they are actually the same?? Ah 🙂 You’re right! By the way, have you tried your snippet yet? Yes, it’s working, thank you so much! I really appreciate it! 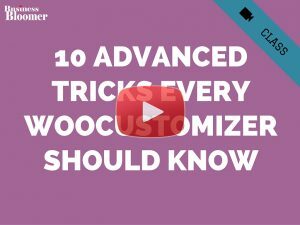 I want to move custom fields defined by one plugin to “woocommerce_checkout_order_review”. Is it possible with a snippet? Thanks. Hey Robert 🙂 Yes, this is possible, and it will depend on your custom plugin, so unfortunately I don’t have a “universal” snippet that can help. Thank you! Hey Phil thanks for your comment! Do you have a screenshot? Is this related to my snippet? On my webshop every order is “shipped to a different address”, so I would like to hide the “ship to different address” checkbox. I have learned many great snippets from you and wanted to thank you for that. I also have a question and was wondering if you could help: I need to change the layout of the checkout page. I need to move the payment options with the “agree to terms&conditions” checkbox ABOVE the order-review table. The Order button should stay at the bottom though. I would love to hear back from you, many thanks! Strange, it works on my test site 🙂 Are you pasting this in your functions.php? And when you get a white screen, what error is displayed if you enable WP_DEBUG? Hello im trying to add a subtitle under the Country lable. Great tutorial! Thank you. Just one thing… when adding this to functions.php it makes the “Order Comments” field disappear. Gonzalo, thank you so much for your comment (also – I will be visiting Peru soon!). This is pretty strange actually, I’ve tried it and you’re right, it doesn’t work. I’m launching my course tomorrow so maybe I’ll take a look at this next week 🙂 Thank you! 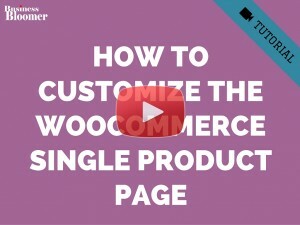 Hi Rodolfo, your are the best woocommerce teacher & development in this world. Amaizing, I love your tutorials. Please I want to move the order & payment info under shipping, on the left column, because the page it is too large and I think it´s better to see all at the first view. Sorry about my english. Hey Fabiola, thanks for your comment – your English is perfect! If you want to move order and payment info on the left, some custom PHP work will be needed. 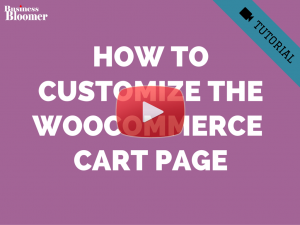 This is not a great idea as overriding a full template means you will need to re-do the job every time WooCommerce releases a big update. 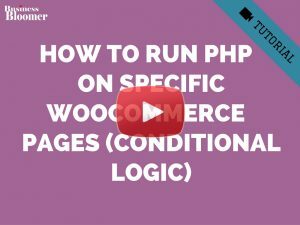 Other than that, take a look at the form-checkout.PHP file under woocommerce/templates/checkout, and then follow this official guide by WooCommerce to override it. How do you move the ‘your order’ section to the right? Hello Julian, and thanks for your comment 🙂 Do you mean you want to move the order & payment info under shipping, on the right column? May I ask why? You are an incredible resource! Thank you so much for sharing your expertise with us. It is much appreciated!